Acclaimed author and filmmaker Mitchell Jackson will be the keynote speaker at a fundraiser for San Diego nonprofit Second Chance later this month. 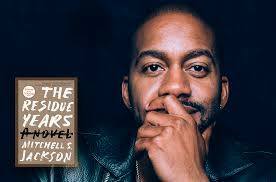 Jackson, most known for his debut novel ““The Residue Years,” will speak at the benefit of the nonprofit, which offers prisoner reentry services, relapse prevention programs and sober-living for adults and youth in need. The benefit is slated for May 20. Jackson grew up in a neglected neighborhood in Northeast Portland during the crime-addled 1990s when the only options were selling drugs or playing basketball. Jackson was almost a casualty of those circumstances and spent time in prison at age 19 for narcotics, he said. His award-winning novel has been made into a documentary film. He now teaches writing at New York University and Columbia University. Joining Jackson will be Derek Clark, a motivational speaker. For more information about the event or Second Chance, go to www.secondchanceprogram.org.